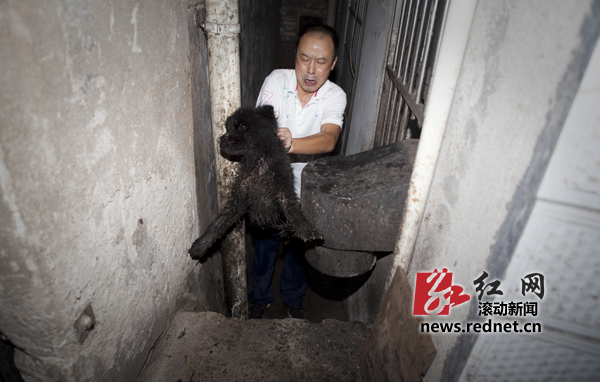 True Love Story – Must Love Dogs (Be sure to watch the full video below) Earlier this week there was a story from China (RedNet.CN News) where a dog stood watch over his female companion when she fell into a water sewer and could not get out for 10 hours. According to the rednet.cn story, an old man could not fall asleep around midnight on September 23rd due to a barking dog and wincing from another. When he awakened around 7:00a, he was surprised the two dogs were still there lying on the floor. One inside the ditch while the other stood watch. Here is the video in its entirety; if you don’t understand chinese, no worries, wait until you see the happy dogs. Indeed a happy ending and reminds you of the commitment dogs make to one another. Neighbors speculate that the two dogs were not familiar with the terrain and the female fell into the ditch accidentally. It was amazing to see the white dog guard the other overnight. Neighbors had to dial the emergency number for help.